When I found out I was going to be working with RYSE in Seoul, I was immediately excited at the prospect. Having lived in Tokyo many years back, a planned trip to the city had to unfortunately be cancelled at the last minute after a sudden work engagement and so visiting Korea had been a long time coming. On arriving into the city, I was immediately struck at how vast it was. 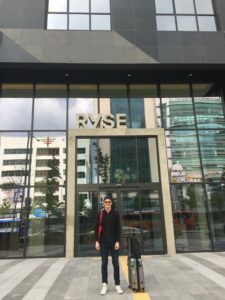 With over 25 million people living in the urban area, my transport weaved through different districts of the city before eventually I found myself outside RYSE in the Hongdae area. 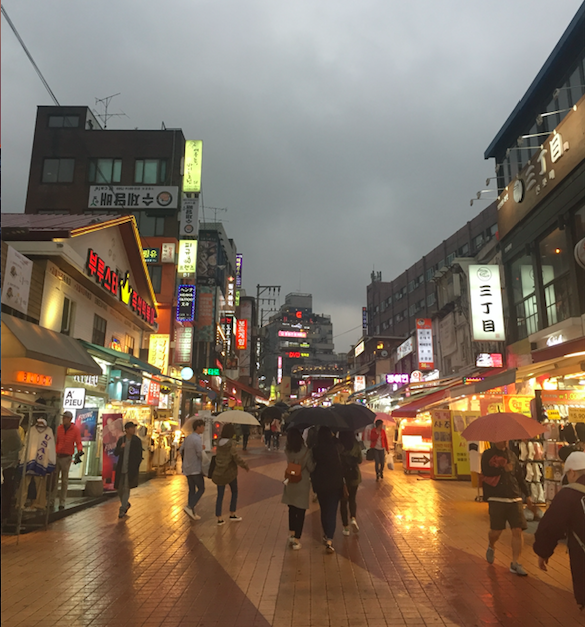 Hongdae is a vibrant place known for its street arts, cafés and nightlife and is populated by many students (the name Hongdae is an abbreviation of Hongik Daehakgyo, Hongik University). 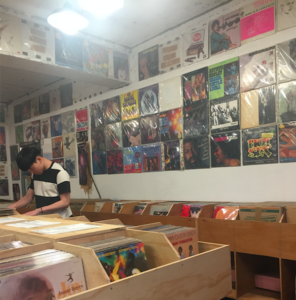 Once I had checked in to the hotel, I wanted to understand more about the local area, particularly the sounds of the district, so I headed to the few local record shops before they closed. 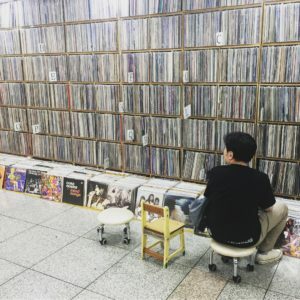 A five minute walk away from the hotel, seterecords was filled full of soul, funk, disco and jazz records, perfect sampling material for the hip hop that had over the years become a popular musical style in Hongdae. 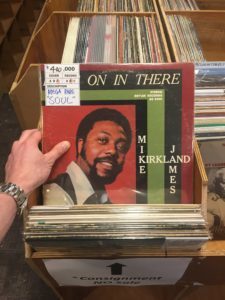 Here I found a rare Mike Kirkland James LP, but sadly they knew its value too and it was far out of my budget. Shortly afterwards, after passing another shop by chance, I found two mix CDs by local artist and record shop owner DJ Soulscape, featuring an amazing selection of tracks made only by Korean artists. The next day was spent listening to the music in the hotel in the different areas throughout the day and night. As I had originally consulted with the team from abroad before I designed the playlists, it was great to hear the music working so well in the different hotel zones. RYSE is seen to be a cutting-edge hotel in Seoul, and therefore creating a sound that matched this aesthetic was imperative. 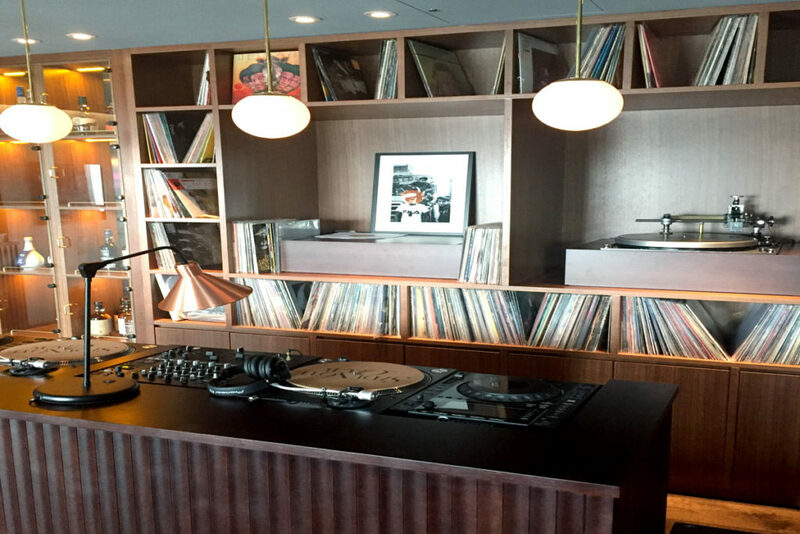 I was given a tour of the hotel which included a visit to the hotel’s bar The Side Note Club on the 15th Floor which featured a 1000 strong collection of vinyl and a rooftop with impressive views across the city. I was informed by the manager that the bar will feature guest DJs, and due to its location and sound system potential, I am sure it will be popular with both those staying at the hotel and people that want to come for a great drinking experience. After a late meal and cocktail at the hotel’s buzzing Long Chim Thai restaurant it was an early night as my flight sadly left the next morning. Spending time in the lobby the next morning before checking out I was really struck by the genre pushing sound that we had created for the client. Sonically, it was as if the best producers from Berlin, Bristol and the West Coast of America were battling to showcase their most intriguing music, creating an arty sound that remained on the tasteful side of challenging. The soundtrack really complements the hotel’s design and was an evocative start to the day ahead. Seoul, it was short and sweet, but hopefully it won’t be the last time we meet.